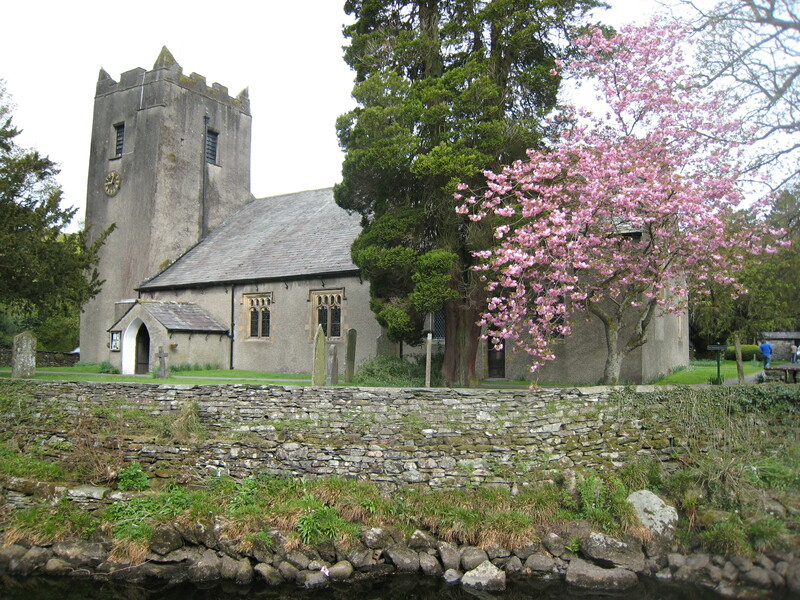 Grasmere Church, dedicated to St. Oswald the Northumbrian King, stands on the bank of the River Rothay. 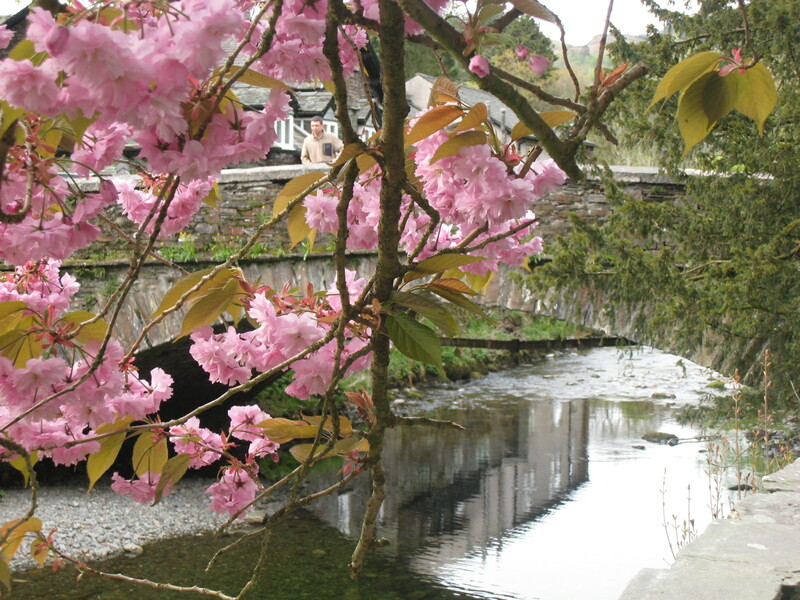 To commemorate the Coronation of Queen Elizabeth in 1953 a flowering cherry tree was planted in the churchyard by the two oldest Grasmere born residents, Robert Peel of Lancrigg Lodge and his brother Penny Peel of Field Side. It is a beautiful sight and of course we have many Japanese visitors who enjoy the Sakura blossom. 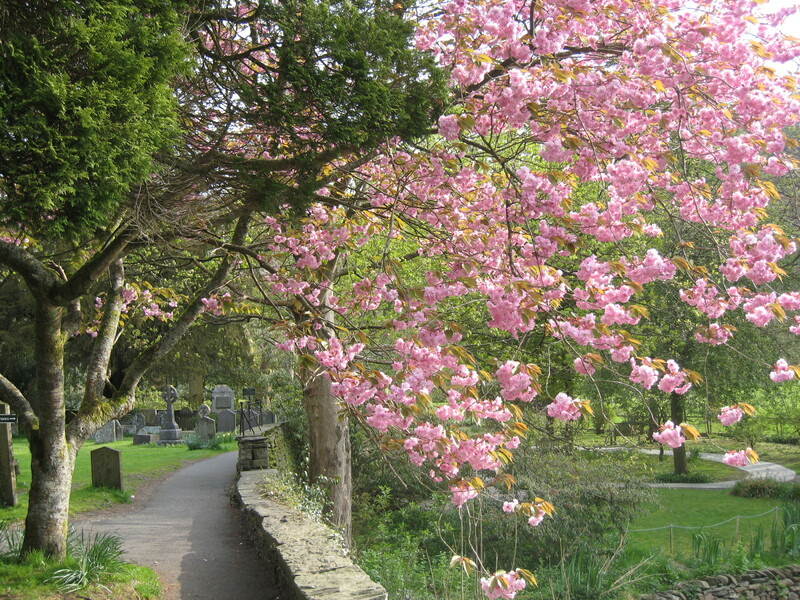 Just beside Grasmere Church is Grasmere Daffodil Garden which can be seen from the graveyard. 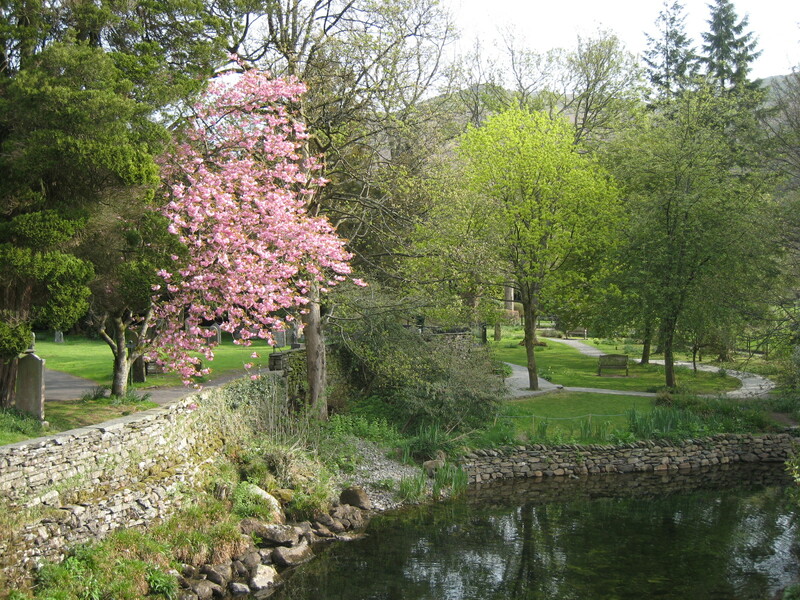 Looking towards Grasmere Daffodil Garden. 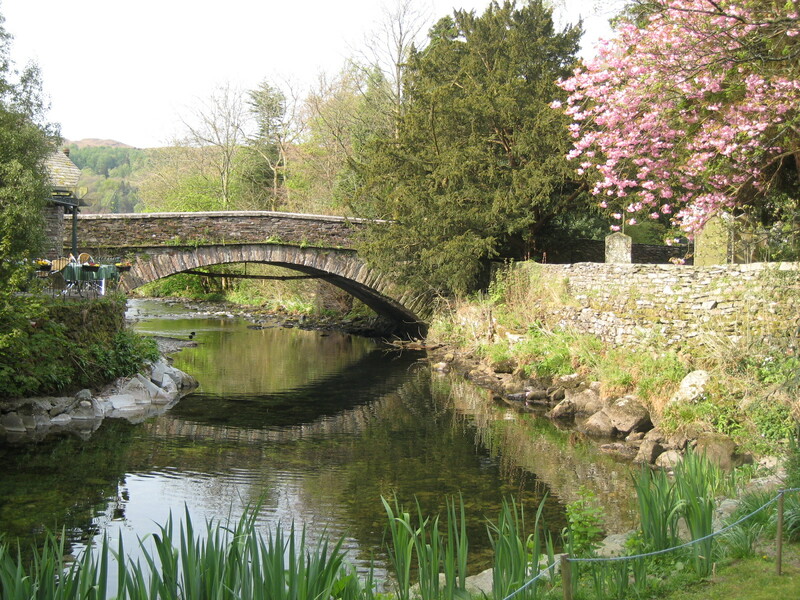 And from the garden you can see the bridge over the River Rothay with the tea gardens to the side. A nice place to sit and admire the cherry tree and the local ducks.